Like any busy business, an uninterrupted and stable connection is crucial for shared drives, VPN, finance software and banking – as well as space to grow into social media and communications technology. United Way wanted a partner who could help them stay at the front of the technology race, but who wouldn’t complicate it. When they explained what they needed, we developed a network solution based around Macquarie Telecom SD-WAN, which would provide faster bandwidth, less internet downtime and clear visibility of how their network was being used. Then we got on the ground in their offices, ready for any troubleshooting. Macquarie Telecom SD-WAN has provided United Way with all the benefits they were looking for. Since the upgrade, they’ve seen zero instances of downtime, meaning they’re always up and always ready to service the communities that rely on them. 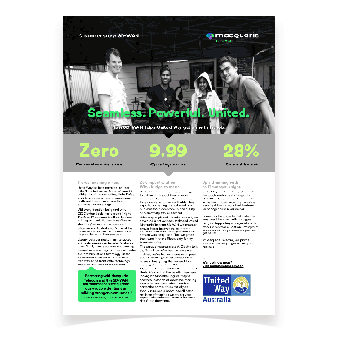 A 28% speed boost – as well as the resilience of teaming two data services together via multipath – means a far lower risk of hard downtime. How SD-WAN helps United Way get on with the job. 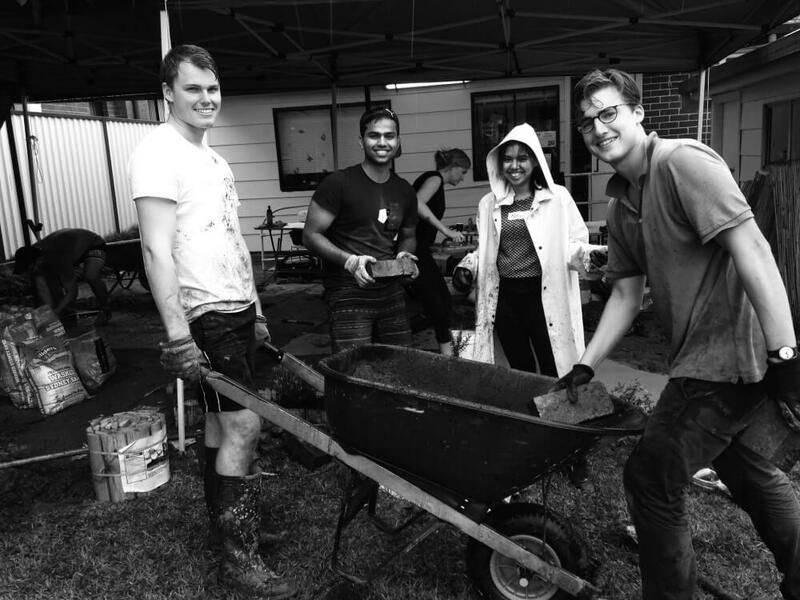 "Partnering with Macquarie Telecom and their SD-WAN solution means we can spend our valuable donations on building stronger communities."